WELCOME TO OUR BOOKS PAGE! Buy the "Finding Otho" book directly from this website by clicking HERE (then click on the book image to get to the secure "Add to Cart" page, then follow the instructions). If you wish to have an autographed copy, indicate the name the book should be addressed to when placing your order. 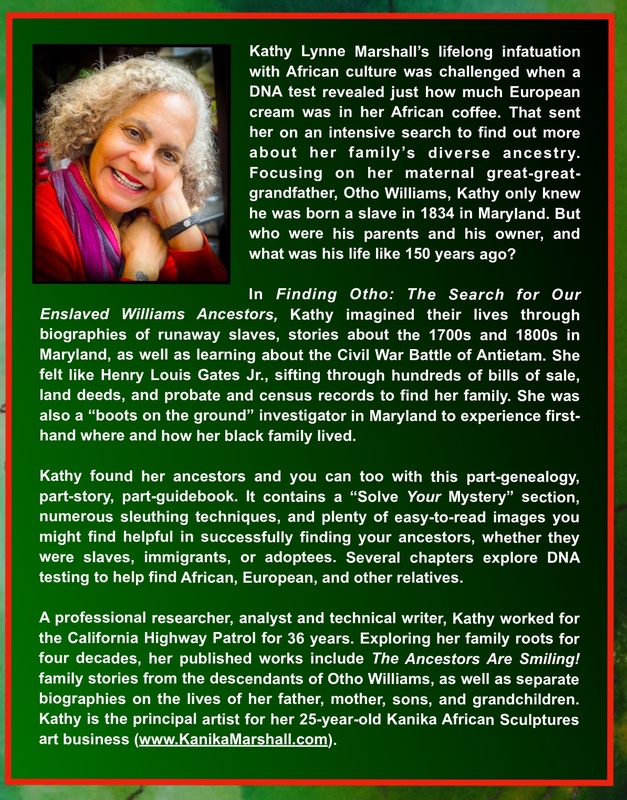 Announcing Kanika's alter-ego, Kathy Lynne Marshall, who has begun writing genealogy and art books under the Kanika African Sculptures and Books Publishing Company. Our newly-released "THE ANCESTORS ARE SMILING!" is available from this website and from Amazon.com. 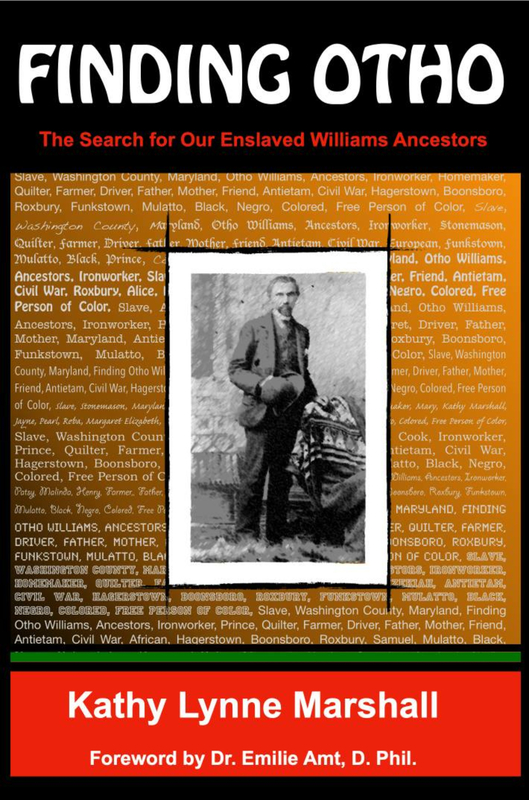 Click HERE to purchase "The Ancestors Are Smiling!" A new window will open with a picture of the green book cover. Click on the green book image to go to another, secure, book purchasing page. Scroll near the bottom of that page to "Add to Cart" icon then proceed to the check-out process. If you have trouble ordering the book, please let us know via the Contact page and we will be happy to help you. A preview of the book may be viewed HERE. 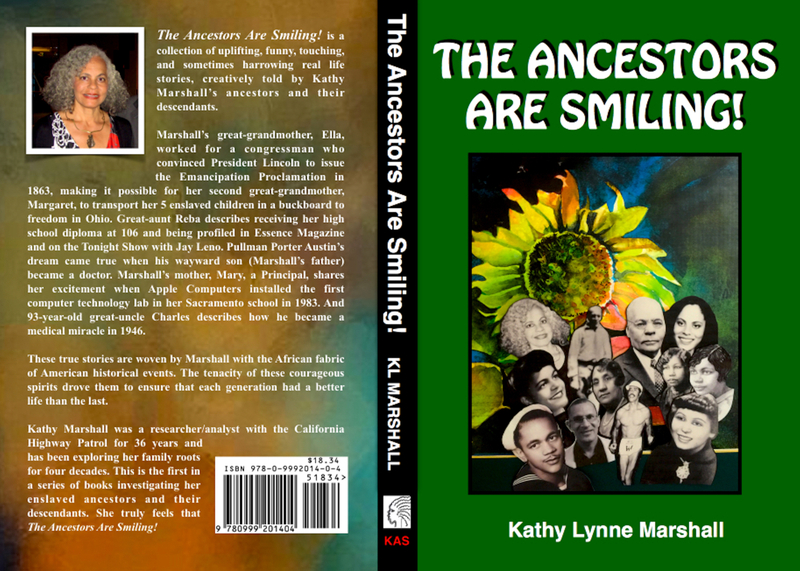 Kathy Kanika Marshall was interviewed By Bernice Bennett, moderator for Blog Talk Radio's "Research at the National Archives and Beyond," in January 2018 regarding the steps Kathy took to write and self-publish "The Ancestors Are Smiling!" It is a 60-minute Interview in January 2018.